A man boards a jeepney and goes all the way to the end of the seat just behind the driver. He looks around at all the other passengers and immediately recognizes a friend. The fare ritual instantly begins. “May bayad ka na ga?” he says to the lady friend. “Ako na!” the man gallantly says, having already picked a twenty from his wallet. In truth, since the lady is a little farther down the seat, there is only going to be one person to win this race. But the lady friend is spirited, and – still in that lame tone – says to the man, “Areh na! Barya areh!” She extends her arm forward with a collection of bagul in her palms. But, of course, the man is closer to the driver and has already handed the twenty peso bill; and in so doing puts an end to the farce. “Hiyang-hiyâ ako eh!” the man tells the current lady friend. He is grinning, though; his way of letting the current lady friend that he took it all in good humor. A lady wearing a navy blue uniform is seated just behind the driver. 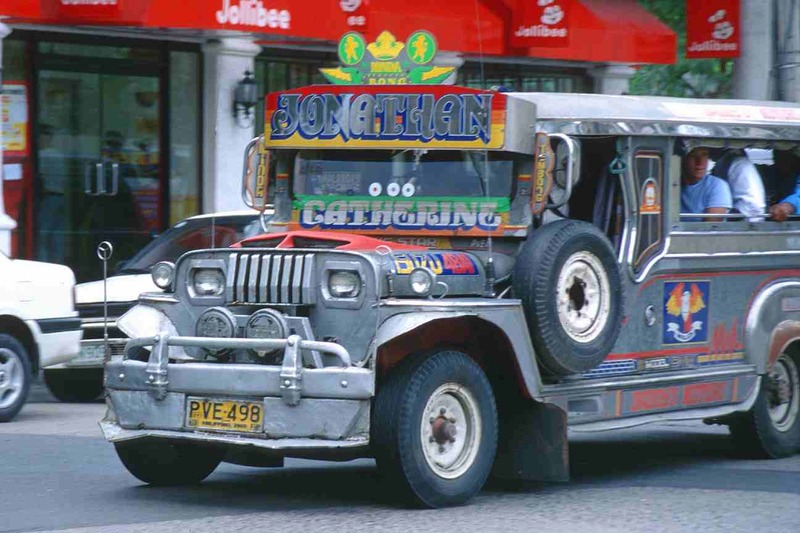 The jeepney is nearly full, with just two or three slots available. The driver sees another lady in the same uniform getting ready to cross the street. So he stops for her at the kanto. The first lady, likewise, sees the second lady. Her eyes momentarily light up in recognition. She opens her purse halfheartedly; then closes it after a quick peek. We will give her the benefit of the doubt and think wala s’yang barya instead of kuripot. Instead of calling out to the second lady after she boards – or even just looking her way – the first lady does the convenient thing: she turns her head towards the windshield. Meanwhile, the second lady seats herself and quickly scans the faces of the other passengers. The first lady’s head was averted away from her; but she recognizes her, nonetheless, and momentarily thinks of calling out to her. Instead, she digs into her purse for her fare and pulls out some coins. There is no way for her to tell if the first lady has seen her, so she gently touches the arm of the gentleman next to her without even bothering to say, “Bayad pô!” We will all assume she is just wary that the first lady may recognize her voice. As the first lady continues to keep her face averted towards the windshield, the second lady predictably averts hers towards the rear. The charade goes on as we all wonder who gets a stiff neck first.